Last week, the 2018 Farm Bill became law. Included in that law is a milestone provision that removes hemp from the Controlled Substances Act (CSA), and another that prohibits states from preventing transportation or shipment of hemp or hemp products across state lines– even if a state has itself outlawed hemp or hemp products. However, following passage of the Farm Bill, the Food and Drug Administration (FDA) issued a statement virtually ensuring that regardless of changes to the CSA, the FDA will effectively maintain the prohibition on most uses of CBD until further notice, because it retains control over the safety of foods and dietary supplements that include cannabis or cannabis products. A quick review of some relevant terminology for context: The cannabis plant (Cannabis sativa L.) is cultivated in many strains, with varying levels of the psychoactive ingredient tetrahydrocannabinol (THC) and the non-psychoactive ingredient cannabidiol (CBD), along with hundreds of other constituent ingredients. The Farm Bill amends the CSA to define “hemp” (formerly referred to as “industrial hemp”) as the cannabis plant, any parts of the cannabis plant, and all derivatives therefrom, to the extent they contain a THC concentration of not more than 0.3% on a dry weight basis (i.e. not psychoactive). Any cannabis plant or derivative with more than 0.3% THC remains a Schedule I controlled substance that is illegal under the CSA. The FDA’s statement clarifies that with respect to foods and dietary supplements, absent further action by the FDA, CBD-infused food or dietary supplements still cannot be legally sold in interstate commerce, even if the Farm Bill mandates that interstate transport and shipment of hemp and hemp CBD must be allowed. The FDA has also taken the position that if CBD-infused products of any kind are marketed as having medical uses or disease-curing properties, they will be subject to FDA regulation as “drugs” under existing law. But a question that has not yet been answered is how these recent developments affect the legality of hemp-derived CBD extract oil used as an additive in vape products, which is a common application for CBD, but which is not within the realm of foods or dietary supplements. Electronic nicotine delivery systems such as vape pens are regulated separately by the FDA as tobacco products, but it’s unclear how a hemp CBD-only (i.e. containing no tobacco-derived or cannabis-derived products) vape pen would fare under federal law post-Farm Bill. It’s also not clear how the FDA would view hemp CBD as a standalone additive to vape products, and whether it would fall within FDA regulatory purview. Here in California, it’s also unclear how the Department of Public Health (CDPH), the agency charged with regulating manufactured cannabis products in the state, will view hemp CBD use in vape products. We’ve previously looked at the muddy state of California hemp CBD regulation. Although current CDPH regulations allow cannabis-derived CBD as an additive in licensed manufacturing of cannabis vape products, they also mandate that “[a] manufacturer licensee shall only use cannabinoid concentrates and extracts that are manufactured or processed from cannabis obtained from a licensed cannabis cultivator.” This would seem to foreclose hemp CBD altogether as an option for manufacturing licensees. However, California cannabis statutes make clear that regulated cannabis does not include hemp, and that hemp is an entirely separate regulated substance for which only cultivation is currently regulated by state law. We already know that the CDPH has determined that hemp CBD will not be a permitted food additive until either the FDA says it is or the CDPH determines it is safe for human consumption, even though cannabis-derived CBD is already allowed as a food additive under state law. And although it may seem reasonable for CDPH to seek to prohibit licensees from using any CBD (including hemp CBD) derived from unlicensed sources, as well as to prohibit unlicensed persons from manufacturing at least cannabis-derived CBD from any source given that existing regulations restrict it, we will not know for sure how the state is going to deal with hemp CBD use in vape products until CDPH issues guidance as it did with respect to hemp CBD as an additive to foods. So what does all of this mean? Despite passage of the 2018 Farm Bill legalizing hemp, it may not have helped much with the confused state of regulation in California and other states. Use of hemp CBD in vape products is still a grey area at best, and use of hemp CBD as a food additive is still prohibited in California. There appears to be interest in passing California legislation regulating the sale of hemp CBD, and perhaps this legislation will also address the use of CBD in manufacturing in a way that reconciles potential inconsistencies with existing state cannabis regulations as well as federal deregulation. 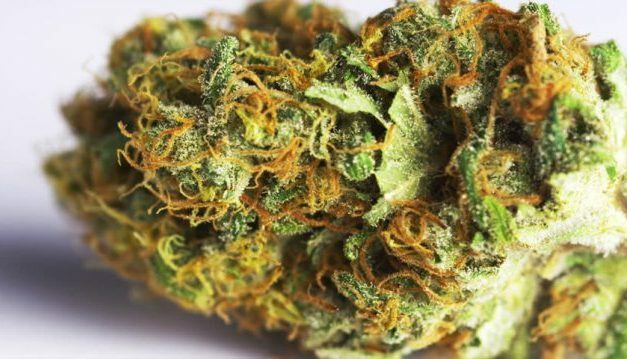 For now, this might be the first time in modern history that a cannabis substance appears to be treated more permissively by the federal government than California—at least for now. 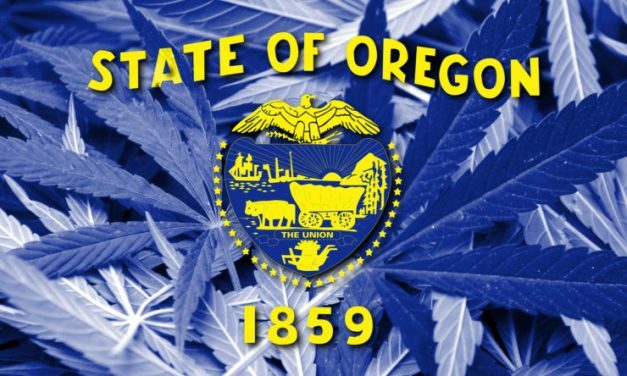 Here we are at the end of 2018, which means it’s time for the third annual “State of the State” post on Oregon cannabis (the 2017 post is here and the 2016 post is here). 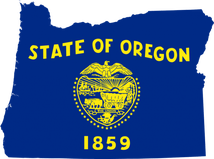 The year 2018 was truly remarkable in the Oregon industry, and we saw a lot of change, from regulatory evolution to industry consolidation to overall market dynamism. Below is a high-level summary of what we are seeing in the industry as we move into the new year. The marijuana market is saturated with both licensees and product. October is always the peak month for harvest, and the Portland Business Journal, by way of OLCC, reports that producers brought in 2.54 million pounds that month (measured in wet weight). This was a slight increase from 2.48 million harvested pounds in 2017. For the full year, production was running 9% higher than 2017, and wholesale prices fell by more than 50% from mid-2017 to mid-2018. As any store owner will tell you, retail prices have fallen significantly too. In addition to product saturation in the market, the number of licensees has continued to grow. OLCC issued an additional 300+ producer licenses in 2018, bringing the total number to 1,110. There are also 1,141 additional producers awaiting licensure. With respect to retail, there are now 606 active dispensaries in the state, including 173 of them in the City of Portland alone. Although OLCC officially “paused” its review of all new applications submitted after June 15th, we don’t see the market becoming less competitive anytime soon. The M&A market is also intense. There are no readily available statistics on the number of purchases and sales of marijuana businesses statewide. Anecdotally though, the amount of this activity coming through our office is remarkable. In the past 12 months, we have handled more cannabis business mergers and acquisitions than we ever could have predicted. These transactions range from people giving up failed businesses for a song, to leading local brands joining forces, to the seemingly never-ending stream of reverse mergers and acquisitions involving Canadian public companies. Although Oregon is no longer the only state to allow non-resident ownership, we don’t see a slowdown in this type of activity anytime soon. Expect Oregon to remain a buyer’s market in 2019. Oregon’s statutory changes and administrative rules didn’t change radically in 2018– at least compared to the past few years. 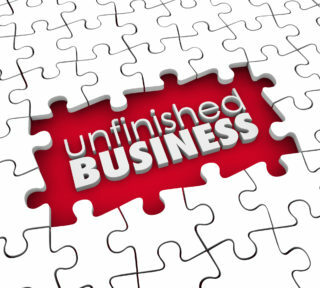 OLCC continues to work around the edges, as with the recent push to end the alternating proprietor arrangement and to tighten up the definition on banned “added substances” in finished products. Overall, though, much of the legislative and agency efforts were centered on black market eradication and on building out the industrial hemp program. We applaud both of those efforts. … But people keep stepping in it. If the leading 2018 activity for our Portland marijuana business lawyers was buying and selling businesses, dealing with administrative violations was a close second. OLCC has stepped up its efforts program-wide in this manner: It begins with application scrutiny and extends through notices of violation against licensed operators. Certain violations are unfortunately common. Those include “financial interest” violations (yes, lenders must be disclosed), unapproved site changes, camera issues and manifest issues. We are seeing the same types of things, over and over, from companies large and small. Although many of these matters can be settled, they require extreme care and attention, and are best avoided through vigilant compliance. People are suing each other. We mentioned litigation last year, and this year is no different. Some of these disputes stem from business failure, undocumented transactions or deals gone south. We still come across the odd con job. There are also more exotic matters like RICO lawsuits and nuisance battles between marijuana and hemp farms. As long as the industry continues to evolve at its current rapid pace, we expect to see more litigation than in other commodities markets. Hemp just keeps getting bigger. This has been another big practice area for our office. Industrial hemp demand skyrocketed in 2018 with the CBD craze. Many Oregon farms and processors capitalized, with the number of Oregon Department of Agriculture (ODA) growers rapidly expanding from 233 to 568. As compared to OLCC licensing, acquiring a hemp grower’s or handler’s registration from the ODA is fast and easy, and restrictions on sale are far less cumbersome. Now that hemp is legal nationwide, we only expect this trend to continue into 2019.